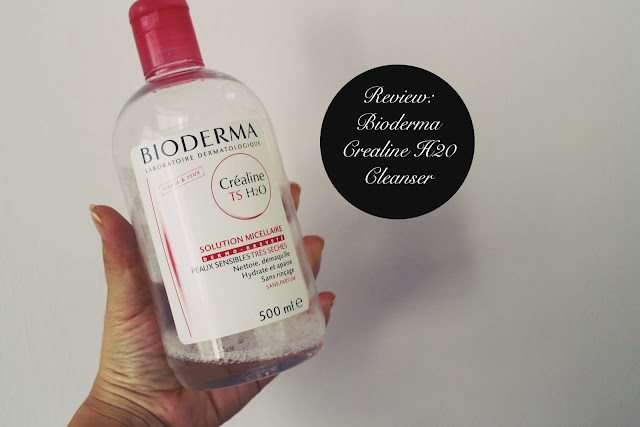 As mentioned in my March Favourites video, the Bioderma Crealine H20 Cleanser has made it into my holy grail list of beauty products. 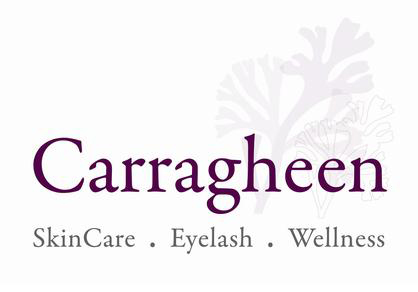 It removes all my makeup without irritating my skin, its fragrance free, soap-free and hypoallergenic. I highly highly recommend this product to anyone who is on the hunt for a really good makeup remover, as they also have other variations targeted towards other skin types. This probably going to be the highest rated product review that I've done so far! The Bioderma Crealine H20 Cleanser is a very gentle , fragrance free micellar solution that cleanses impurities and removes make-up without affect the skin's natural balance. 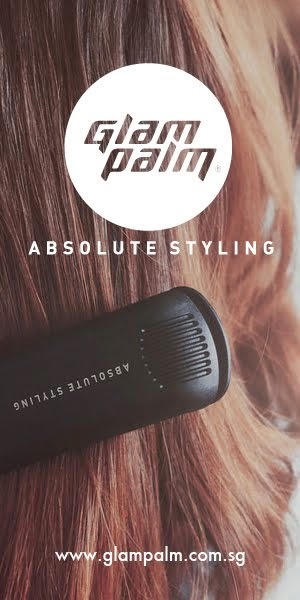 I initially heard the huge hype about this product two years ago over on youtube, and didn't really believe how amazing everyone claims this product is until my mum bought a bottle for me quite sometime ago. I went back to re-discover this after using it on / off whenever I was back in Hong Kong - as I didn't take it back with me to Singapore till perhaps after christmas. I am aware that in Singapore only the Bioderma Sensibio is available, (Which Sam will review later) but word is that they have the same effects on our skin. 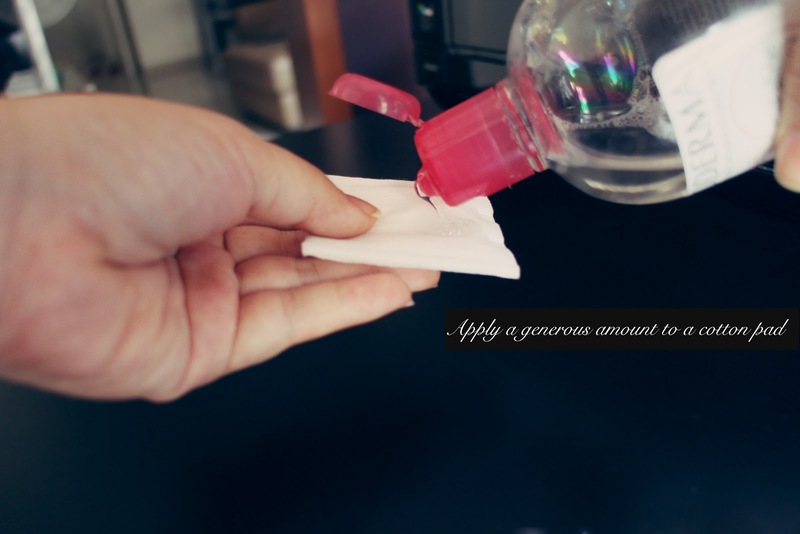 The texture of the solution is just like water! I kid you not, its has no oil, no soap no nothing that could cause irritation of the stickiness to your skin. This is one of the main reasons why its my holy grail makeup remover. It claims to capture fatty molecules such as dirt, oil and make-up, leaving sensitive and intolerant skin cleansed and soothed and I do feel that it lives up to what it says on the packaging 100%. 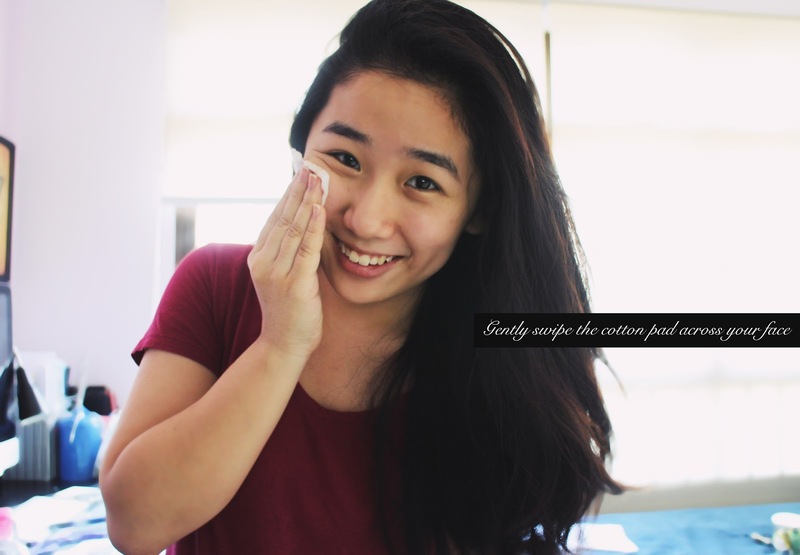 It does not irritate my skin at all and removes my makeup without a hassle - and YES. Including my waterproof makeup too. It doesn't leave my skin feeling tight, oily or overly dry, which is really hard to find in the market of makeup cleansers. I've been using makeup for at least a good solid 3 years now, and I've gone through a lot of makeup removes, oil-free ones, oil based ones, cleansing waters etc - and this ranges from the L'oreal ones at the drugstore to even the Christian Dior Cleansing Waters and NOTHING has come close to being as amazing as this (in my opinion). 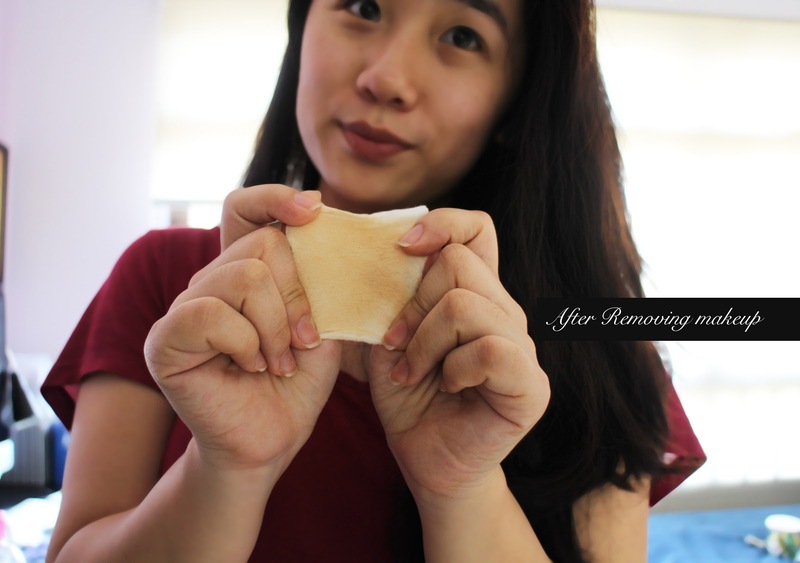 Depending on the amount of makeup you have on for the day, it may take up to 2/3 cotton pads till the pad comes up clear! From the photographs above, I only applied an under eye concealer about a couple hours before the taking the photographs, and as you can see, it removes all the product without me having to harshly scrub or tug on my skin. 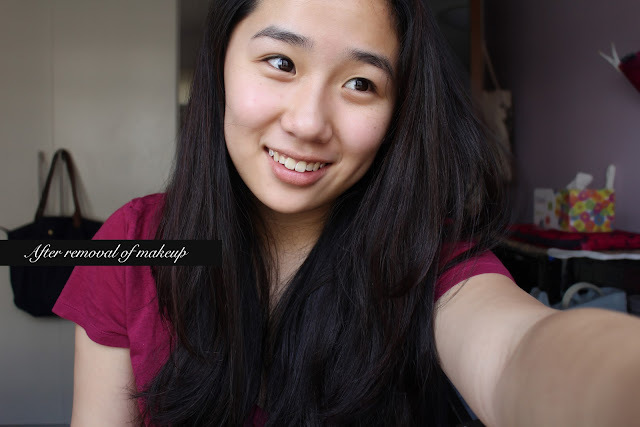 To put it in short, I have breathable, comfortable skin after removing my makeup. I will definitely be repurchasing this when I get back to Hong Kong. 100ml ( HK$38) 500ml (HK$138) - prices off the Bonjour website. ^ Should you specifically want the Crealine cleanser, I'm not too sure where else you can get it , but this is where I get mine from. Hopefully you all are having a great week ! hey Ash, what's the difference btw Crealine and Sensibio? I had some problems with Sensibio... but maybe Crealine is better?? Sensibio is the range sold in Asia and is a little bit different to Crealine. Both are targeted towards sensitive skins but the Sensibio is sold in hk and other asian countries whereas the Crealine is sold in Europe. 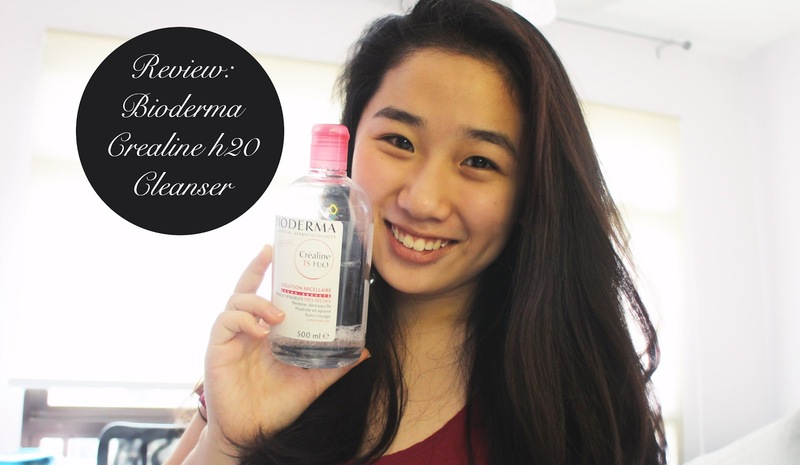 I've asked the Bioderma team and they said that the products are fairly similar! Perhaps the Sensibio isn't suited to your skin type? They have other lines like the Sebium for oily skin Hydrabio Cleanser from Bioderma that you could give a go too! Should you have any further question's I'd be happy to reply! Oh I did not know Watsons sell it. Thought its only Guardian. The price for 250ml is $29.90? Actually, it is manufactured in France (Bioderma is a French company), so they've got all the types there... I'm in another part of Europe, Poland, and the only one I've ever come across was Sensibio and it's been very popular here, but I am going to ask about Crealine one next time I'm shopping for it. Pretty much every pharmacy has Sensibio, so I don't see the reason they wouldn't have the Crealine one, especially that France is not that far away and it's relatively easy to store. Hi! That is a little odd that they don't carry the Crealine in Europe! However the formulations are pretty much the same as I've checked with Bioderma so you're not missing out on much!